Join the London Bees Family! We are looking for grassroots clubs to become affiliated with the Bees and receive a whole host of benefits here at The Hive! London Bees are recruiting sister clubs ahead of the 2017/18 season with two levels of affiliation - Gold and Silver. The Sister Club programme aims to increase participation of girls at grassroots level as well as contribute towards the attendance at WSL 2 matches. 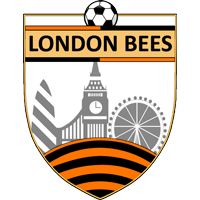 Head Coach and Programme Officer, Luke Swindlehurst, will oversee the project and ensure each and every club affiliated with London Bees has the best experience. 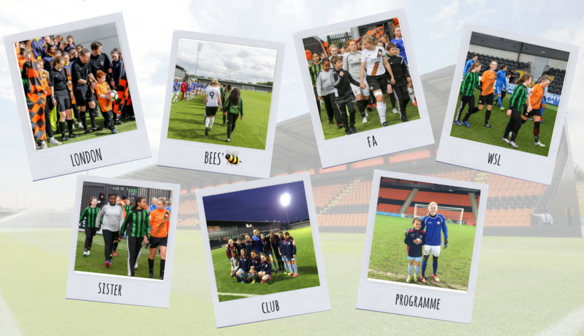 "Having the sister clubs project is a very exciting prospect for the club and we are delighted to be involved for the first time in welcoming sister clubs to join the London Bees on a new journey through the FA WSL. "We value and support all sister clubs and want to help progress your team just as much as you support us. The women's game has grown at an incredible rate and we are now moving into a new and exciting period within women's football history. "Join us at the Bees and be part of the new and exciting Sister Clubs Project and make a real different to women and girls football". Football camp (small sided games providing an opportunity to socialise with other girls playing football locally. *Match day experience includes stadium tour, flag bearers, mascots, tickets to the game, a mention in the match day programme and over the PA system.